31 Death Guard miniatures, who can be painted in the colours of any vectorium. 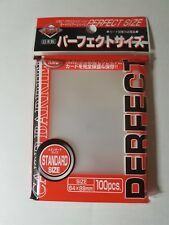 These sleeves are ideal for use in 'double sleeving' cards for added protection. Zeo Power Gold King Master Legacy Ranger Coin-Gold. -Character: Zeo Gold King. We have made this coin to fit most Legacy Morphers available. There are 4 different Morphers manufactured that we know of, all slightly different sized from one another. If you need the product to arrive by a certain date. <--More Amazing Stuff Here! Be Sure To Add us to YourFAVORITES. Number of Players: 2 to 4 players. We have warehouse both in China and OHIO. All products are quality checked. We will be happy to resolve any issues you may have in a cordial and friendly manner. Ages 10 and up. GOLDBAT 5200mAh 50C 7.4V 2S LiPo Battery Hardcase Deans Plug for RC Car Truck. GOLDBAT 5000mAh 11.1V 50C 3S RC LiPo Battery Deans Plugs For Drone Airplane Car. 4X GOLDBAT 6000mAh 55C 11.1V 3S LiPo Battery Deans Plug For RC Car Truck Drone. Awesome Display Case Included BONUS! Youll battle villainous foes, make courageous choices, and strike a blow against the evil that threatens the landall as part of a thrilling campaign that leads you across the storied hills and dales of Middle-earth. 1 Ripcord. -1 Beyblade. -1 Launcher. 1 Beyblade Launcher. Plain Poly Wrap. Sticker Set. War of the Spark Rare. 1 Blast Zone. The picture may change during the month when a better one is release. Magic the Gathering. Looking for affordablerares, uncomons, & commons to complete that deck or set?. A fidget break while studying or working will relieve the built up anxiety and stress, clearing your mind to tackle that project. Folding Folio Case Flip TPU Stand Cover Screen Protector For iPad Pro 10.5" 2017. 2018 New EDC Tri Hand Fidget Spinner Aluminum Bearing Desk Toy Gyro For Kids/ Adult Funny Anti Stress Toys. 1pcs Tri fidget hand spinner with box (as pictures). Bearing: Steel. Help people Relieve stress. 3 Endymion, the Mighty Master of Magic - SR08-EN001 - Ultra Rare - 1st Edition Near Mint You are purchasing 3 copies of the card which is a legal playset. 1x Dovin Foil Mythic Planeswalker Card and Sealed Deck. 1x Domri Foil Mythic Planeswalker Card and Sealed Deck. MTG Ravnica Allegiance (RNA) Planeswalker Deck Lot. All cards are unplayed and in NM/M condition. Item NO.:S163. Allows the aircraft to maintain a consistent altitude for steady video recording. It locks the hight and the location of the aircraft to allow for stable hover. The aircraft comprises of a state of the art folding design which makes it travel worthy for all your outdoor adventures. X1 Unwinding Clock. Rare Type: R.
MADE BY ZURU! These are super cute and so much fun! And with this lot of 2 Balls your little one will have the ultimate unboxing experience with 5 Surprises in every one! Perfect for kids to give their dolls! Takara Tomy Beyblade Burst GT B-133 DX Starter Ace Dragon. We'll do our best to make it right. Size: Beyblade: 5.5 5.5 4cm; Launcher: 5 2.5 6.5cm; Ruler: 19.5cm. 1 Set (1 Beyblade 1 Launcher 1 Ruler 1 Sticker). Fits all Beyblade Burst Launchers. Works with both string and ripcord launchers. Need a refresh on your well-worn copies?. Want a super-handy case to hold all that D&D goodness?. A Lord Discordant is a machine-obsessed heretic who scuttles across the battlefield atop a Helstalker mount, all the while exuding a palpable aura of anarchy. The Lord Discordant siphons off the pained spirit of dying vehicles, using the harvested energy to reinvigorate other Daemon Engines or releasing it as a screaming beam to infect the systems of other enemy vehicles. Uni-Zombie - BLRR-EN074 - Ultra Rare - 1st Edition Condition: Near Mint | Language: English. Near Mint (NM) - Cards with this grade will show no signs of play, have no bends, creases, bends, dings, wear on surfaces or edges, markings, coloring, etc. FORKY & DUKE CABOOM. TOY STORY 4 BOXED SET. All cards are english and there are no fakes here. We use local distributors and run weekly pokemon events. 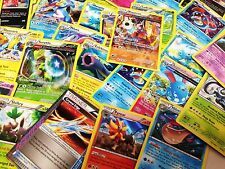 91 - Common & Uncommon Cards. You will not receive every card pictured. 5 - Black Star Rare Cards. 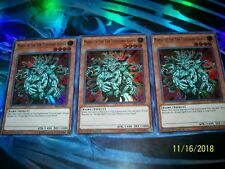 Linkuriboh 1st Edition Ultra Rare DUPO-EN071 Yu-Gi-Oh! You may see this abbreviated as "NM" in the title. To get this rate you MUST have a combined invoice. I have directions below on how to get this. COST : CALCULATED based on location. To get the best rate for this service level you MUST have a combined invoice.